Q: Change the icon color for the flash book window. The default color of the icon is white. I have changed the toolbar color for the sake of matching the theme. So the icon color is needed to change too. How can I make it with the PDF to FlashBook Standard? It is so easy to realize the icon color transform. Just find the “Icon Color” bar in the right panel. 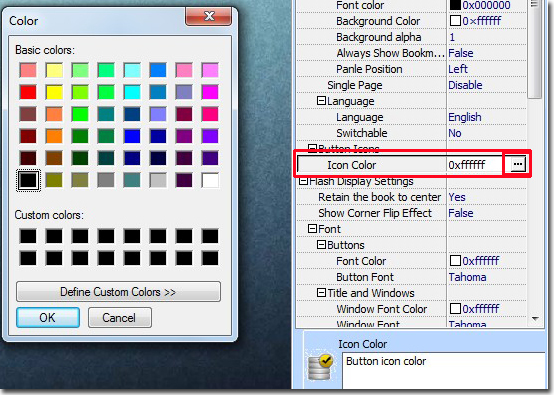 Click “…” to open the color window and select a basic color or define custom color.